If you’ve been neglecting your self-care routine throughout the year, now is the time to make up for it. As temperatures in Dubai continue to rise, plenty of spas have special summer offers to help keep you cool as a cucumber. 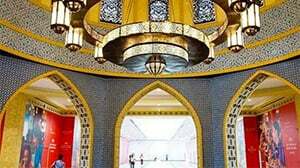 ShuiQi Spa at Atlantis The Palm has a special ‘Pamper Me’ package just for UAE residents this summer. For Dhs550 per person on weekdays and Dhs650 per person on weekends, you’ll get a 75-minute ESPA treatment and massage, a three-course lunch at poolside restaurant The Edge, and all-day access to the Royal Pool, Zero Entry Pool, and Royal Beach. Just make sure to bring your Emirates ID. Nikki Beach Resort & Spa is giving you 50 per cent off its eight signature and exclusive two-hour rituals until the end of August. Got too much sun? Try the “Dreamer” ritual (normally Dhs1,125), which uses nourishing ESPA creams and oils to restore comfort, luminosity and radiance to the entire body. Your skin will thank you for it. Grab your BFF and head to The Spa at Palace Downtown to make the most of their two-for-one treatment offer on Mondays and Tuesdays. Choose from any 50-minute therapy and you’ll get the second one free. Mondays are dedicated to the gents, while Tuesdays are for the ladies (but if you want to bring your partner you can avail the offer on either day). The deal also includes an entire day’s access to the oriental bathhouse, steam room and Jacuzzi. What better excuse to take a cheeky mid-week day off? SensAsia is offering 40 per cent off massages on its Summer Massage Party menu. The list includes some of the spa’s most popular massages – including its famous prenatal ‘Yummy Mummy-To-Be’ massage – with special additions like facials and premium body treatments to be announced throughout the promotion. Deals are available on weekdays only, and there are limited time slots. SoSPA has a summer escape deal for Dhs475 per person which includes a 45-minute back, neck and shoulder massage, a 30-minute mini facial or body scrub, and Dhs100 dining credit for Maui Restaurant, as well as free access to the SoSPA pool and facilities and the resort’s private beach. They also have a Tuesday ladies’ night where you can make your way around an array of beauty stations, which include foot massages, file-and-polish, and brow neatening. FIVE has a weekday spa and dine deal where you can book a 45-minute therapeutic massage and enjoy lunch at one of its restaurants for Dhs320. Choose from Maiden Shanghai, Quattro Passi, Blvd on One or The Delissrie. You can either spa one day and dine the next or book both for the same day. Heavenly Spa has a spa, beach and lunch deal for Dhs520 on weekdays and Dhs585 on weekends. The package includes a 60-minute full body Swedish massage using FarmHouse Fresh Shea Butter to nourish and hydrate the skin, as well as pool and beach access for the day. You can also enjoy the package without lunch for Dhs390 on weekdays and Dhs450 on weekends.